Burger King ain’t got nothing on today’s mountain-bike-drivetrain menu. Riders are able to have it their way via a menu of shifting concepts, gear ratios and chainring configurations. 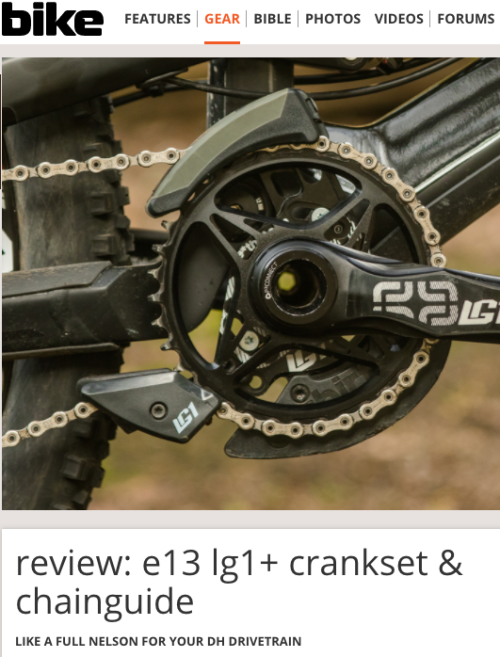 Narrow-wide chainrings and clutch-style derailleurs have done wonders in the chain retention game, reducing the number of conventional chainguide devices being used in on everything from cross-country to enduro and park bikes. When it comes to downhill bikes sporting eight or more inches of rear-wheel-travel, though, chain slap and drivetrain dangle is still a factor. Combine the high speeds with the harsh impacts these bikes endure, and it’s no mystery why most stock offerings come equipped with a chainguide.